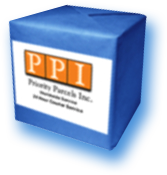 Your choice of PPI service will depend upon your specific need. Here is a brief outline of the main services PPI offers. Suite 105 Carson CA 90746. Toll Free : 1-866-727-2359 / 1-866-PARCELZ. Priority Parcels Inc. liability for loss or damage to the tendered on this voucher is agreed to be $100 or actual damages, whichever is less, unless a higher authorized value is declared prior to shipment and applicable charges paid hereon. There is an additional charge of $1.25 per $100.00 of value you declare. Our liability will be the lesser of the declared value and the actual value of your package. The Maximum declared value for any shipment is $5,000. Priority Parcels Inc. and/or its assignees will not be liable for items of extraordinary value including, but not limited to: fine art, jewelry, money, precious metals, gems, furs, coins, bullion, or securities and other negotiable items. Such items are not acceptable for shipment. Priority Parcels Inc. and/or its assignees will not be liable for hazardous materials. Such items are not acceptable for shipment. Priority Parcels Inc. shall not be liable for any loss or damage of the shipment caused by the negligence of others. The act, default or omission of the consignor. The nature of the shipment or defect or inherit vice thereof. Improper or insufficient packing, securing or addressing, or any other violation of the terms contained herein. Acts of god, perils of the air, public enemies, public authorities acting under the authority of the raw, quarantine, riots, labor disturbances, civil commotions, fuel shortages or hazards incident to a state of war. Shipper warrants that the shipment is packaged to prevent damage from normal care in the handling of air shipments. Any glass, fragile items or electronic equipment must be identified as such and be professionally packaged or crated for shipment or any claim against such shipment will be denied. The consignor and consignee shall be liable, jointly and severally, for all unpaid charges payable on account of such shipment including sums advanced or disbursed by the forwarder on account of shipment. Shipper warrants that the shipment does not contain hazardous materials and is properly described on the voucher as to its proper contents. Priority Parcels Inc. reserves the right to open and inspect any shipment. Shipper acknowledges that Cargo items tendered for air transportation are subject to aviation security controls by air carriers and when appropriate, other government regulations. Copies of all relevant shipping documents showing the cargo's consignee, consignor, description, and other relevant data will be retained on file until the cargo completes its air transportation. All parcels tendered to Priority Parcels Inc. are subject to reweighing by Priority Parcels Inc. and are subject to recalculation of charges based on such reweighing. All claims for loss or damaged shipments must be made in writing and received by Priority Parcels Inc. within 15 days after date of acceptance of this shipment by the consignee. Merchandise must be retained in its original shipping container in order that Priority Parcels Inc. and/or its assignees may make inspection thereof. Satisfactory proof of loss must be furnished including invoices and supporting documents. Claimant agrees to assist Priority Parcels Inc. in recovery of the loss from any insurer and invoke all legal rights shipper may have to minimize the affect of any loss. Priority Parcels Inc. or its insurer shall become subrogated to all rights and remedies, if any, of claimant in respect to such a loss. Claims for overcharges must be made in writing to Priority Parcels Inc. within one month after the acceptance of the shipment by the consignee. No claim for loss or damage to a shipment will be entertained until all transportation charges have been paid. The amount of claims may not be deducted from transportation charges.